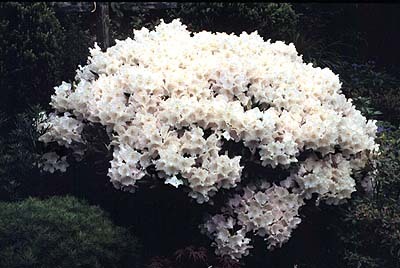 Atlantic Rhododendron & Horticultural Society - R. yakushimanum "Mist Maiden"
R. yakushimanum is a Rhododendron species found only on the island of Yakushima, which is located in the southern part of Japan. This species was not introduced to the West until the mid-Twentieth Century. The late Dr. David Leach, of North Madison, Ohio, grew seeds from England of the Exbury Form of yakushimanum and made two selections: ‘Pink Parasol’ and ‘Mist Maiden’. 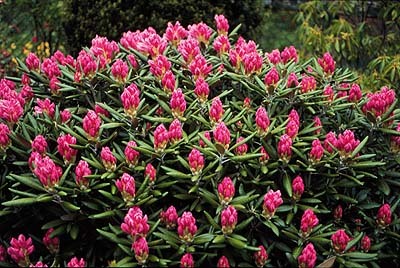 Both are outstanding vigorous plants, suitable for growing throughout Zone 6 and Zone 5b in Atlantic Canada. They tolerate temperatures to – 15F, or slightly lower. 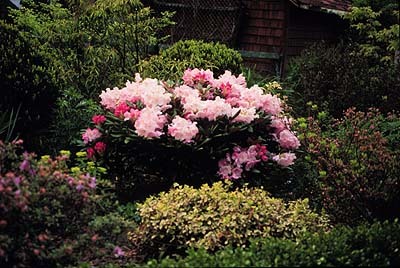 Notable features of R. yakushimanum are its extremely compact, dense habit and its wind tolerance. 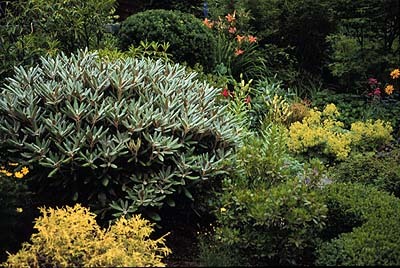 Yak, as it is commonly called, is an exceptional foliage plant. The new leaves emerge covered with silver hair and the lower surface covered in a rich, thick layer of suede-like hair. These coverings protect the plant from insect predators, as well as intense sun and drought. 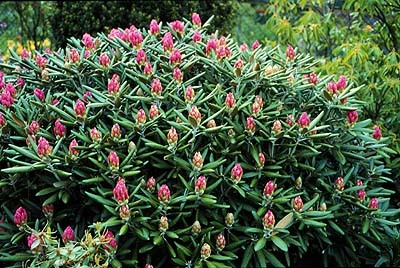 Initially, yakushimanum is slow-growing as a young plant but gradually gains vigor when fully established. A thirty-five year old plant in the Halifax area is now a dense 3.5 metres high by 4.5 metres wide. 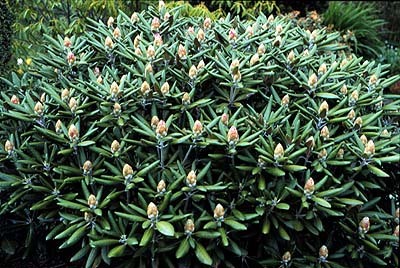 R. yakushimanum will grow in full sun and wind, but we believe it grows and buds best with only one-half a day of sun. Should an extended drought occur during the heat of Summer, young plants should be watered for two hours every two weeks. Other selections on the market are: ‘Ken Janeck’, ‘Exbury’ and ‘Koichiro Wada’. The first two of these are reasonable substitutes for ‘Mist Maiden’. We believe ‘Mist Maiden’ is the best; it is also available locally.